The dream-pop duo basks in its own sonic glow. Last May, Volkswagen released a new commercial in Britain, featuring a song that sounded strikingly similar to “Take Care,” the last track from Baltimore dream-pop duo Beach House’s third album, Teen Dream. It was a rip-off, done in poor taste. Fans were incensed, music blogs and The New York Times went digging, and Volkswagen and DDB, the agency that created the spot, quickly tried to absolve themselves of blame. 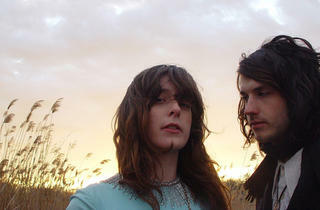 In a telephone interview following the media blowback, Victoria Legrand, the band’s vocalist, keyboard player and lyricist, answers questions in clipped, sharp tones. The timing of this whole debacle was awkward; it was just a couple of weeks after the release of the band’s fourth record, Bloom. But beyond its meticulous songcraft, the band has built its reputation on its exacting professionalism and a precise thoughtfulness surrounding its work. “The priority is maintaining the thing that is real and honest to us, and therefore honest to our fans,” says Legrand. “It’s something to protect, and something to be grateful for as well.” On May 18, Beach House composed a short, diplomatic Facebook post to calm fans. “We will release a proper statement weeks from now, when we don’t have more interesting things to do/talk about,” the band asserted. Legrand and Alex Scally, the duo’s guitarist, long ago declared their commitment to creating music that produces a utopian listening experience, in which the songs go beyond conveying literal emotion, to thrive in a place that trumps even the purest kind of storytelling. “That’s the whole point—we feel compelled to chase something we may never attain, but the joy of it is that you make something along the way,” says Legrand. “We make music because we love it and we feel compelled to do it. We’ll continue making records until we feel like we don’t have anything left to give.” This longing for transcendence coats Bloom like a new layer of skin growing over a wound. Legrand’s hypnotic, Nico-like voice floats above the organs and eerie pauses, and those spaces take on a warmth of their own. 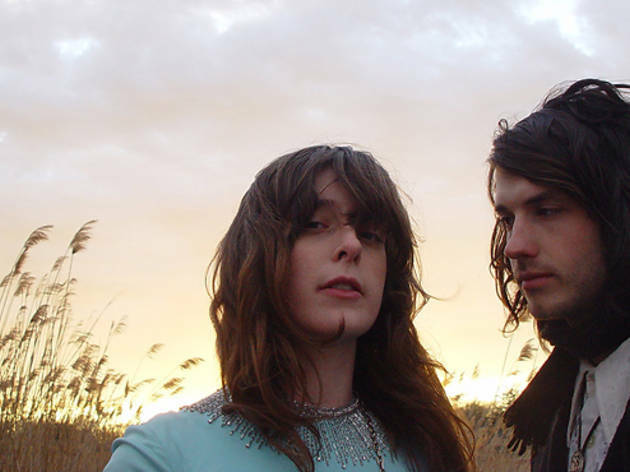 Beach House plays Coachella Friday April 12 and Friday April 19. This article originally appeared in Time Out New York on July 19, 2012.